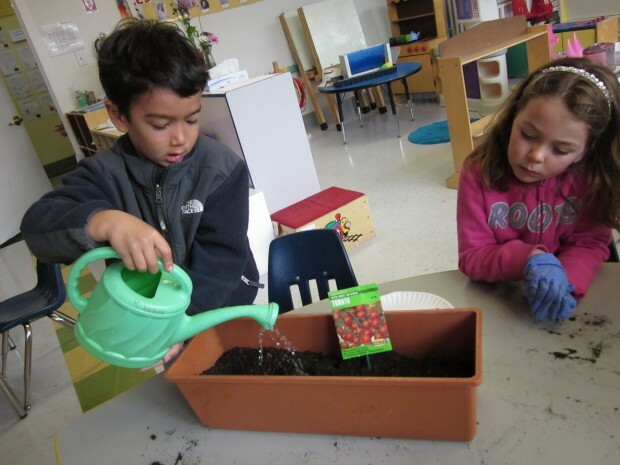 In Valérie and Stéphanie's French immersion kindergarten class, students have been taking part of a hands-on learning outdoor project: the process of tending and growing a garden. First, they started by removing the last year's weeds, in order to prepare the garden beds for planting. Some weeds were very strong and difficult to pull out, but the students collaborated and were able to clear the garden. 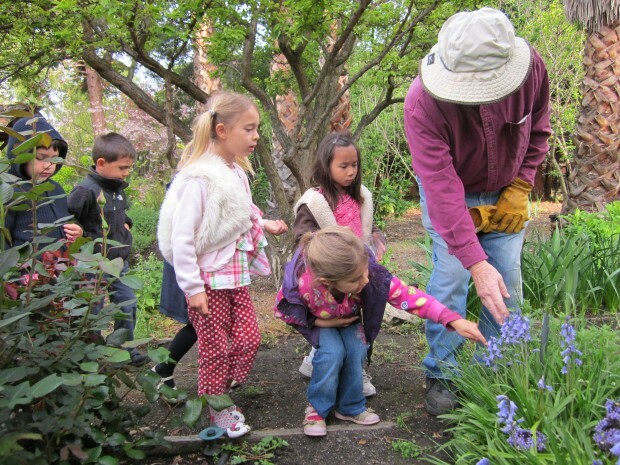 Over the years, Cowper has created a partnership with Arlen, the gardener of the Pastoral Garden. Each Tuesday, students bring organic scraps from home to Arlen’s compost boxes and in exchange, he lets us take new soil/compost for our Cowper garden. 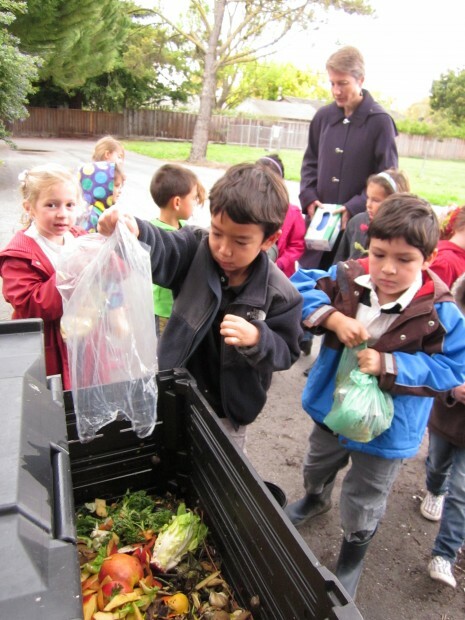 Not only do the children learn about the importance of composting, but they have also built a meaningful relationship with our neighbor. 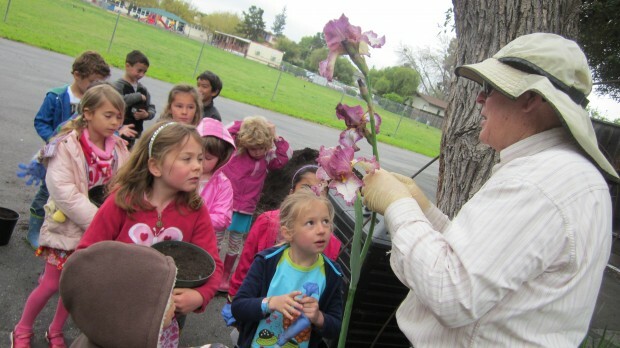 The students have the opportunity to ask him their questions and learn a lot about the different kinds of flowers. Arlen shares his garden with the students, and shares his knowledge and passion for the Pastoral Garden’s flowers and fruit trees. 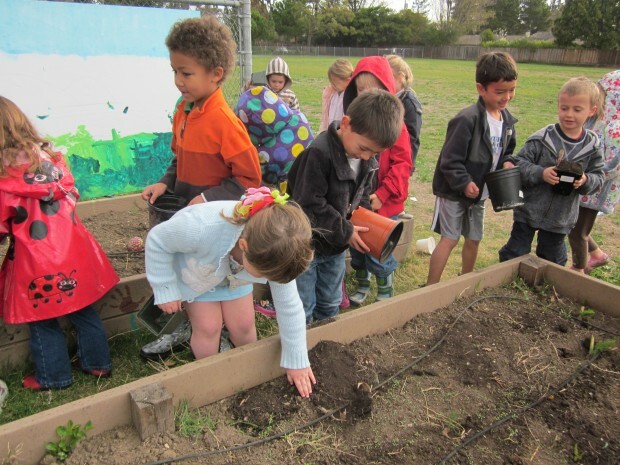 After visiting Arlen, the children spread the new soil/compost on the garden beds of Cowper garden in order to enrich the soil. Back in the classroom the children start seedlings. They use different seeds, such as green beans, sweet peas, corn, radishes, etc. 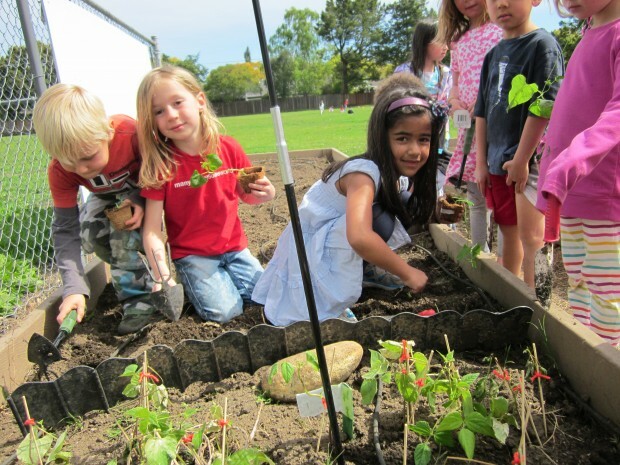 Finally, when the seedlings have grown enough, students take them to the garden beds to transplant them. Now that all this is done, all there is left to do is wait for the sun to heat the seeds, the water to feed the seeds, and watch them grow. Come visit our garden in the back of Cowper Campus. 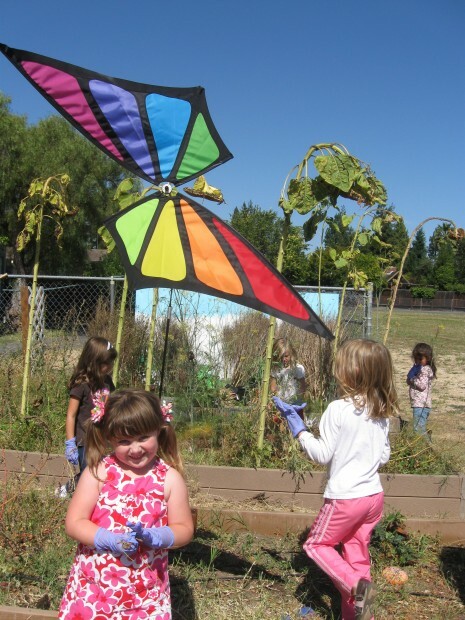 Soon, we hope to show you pictures of our blooming garden!